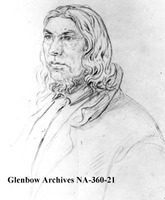 GRANT, CUTHBERT, fur trader, Métis leader, farmer, office holder, justice of the peace, and politician; b. c. 1793 in Fort de la Rivière Tremblante (near Kamsack, Sask. ), son of Cuthbert Grant*, fur trader, and a Métis woman, probably of Cree and French descent; m. according to the custom of the country first Elizabeth MacKay, secondly Madelaine Desmarais, and perhaps thirdly an unnamed woman; m. 1823 Marie McGillis in St Boniface (Man. ); he had by these marriages at least three sons and six daughters; d. 15 July 1854 in White Horse Plain (St François Xavier, Man.). Cuthbert Grant, effectively bilingual, was the first educated Métis to wield a profound influence over the fate of his people. He was largely responsible for implanting in their minds the concept of a Métis nation that played such a vital role in the Red River uprising of 1869–70 and the Northwest rebellion of 1885. Yet Grant was no rebel. 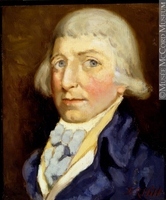 Throughout his career he was a staunch supporter of the authority he knew, first that of the North West Company and, after 1821, that of the Hudson’s Bay Company, and he made his violent mark in history not as an insurrectionary but as a partisan in a private war between two trading companies struggling within the great political vacuum of the early northwest. Grant was virtually born into the NWC; his father was a long-time employee and a wintering partner from 1795, and his uncle Robert Grant, in association with William Holmes*, was among the original group of Montreal fur traders who formed the NWC in 1779. He spent his early childhood in various NWC fur-trading posts along the Assiniboine River. 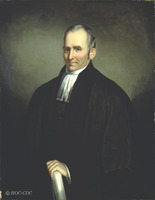 The elder Cuthbert Grant died in 1799, having provided in his will for the education of his two sons, Cuthbert and James, and having named William McGillivray*, the NWC’s Montreal agent, as their guardian. In 1801 McGillivray took young Cuthbert to Montreal, where he was baptized on 12 October in the Scotch Presbyterian Church, later known as St Gabriel Street Church. Despite conjecture that he followed his brother to Scotland for his schooling, he would appear to have been educated in Montreal under McGillivray’s supervision. Grant entered the company’s service, probably about 1810 to work in the Montreal offices, and in 1812 he travelled to Fort William (Thunder Bay, Ont.) with the annual brigade. At the meeting of Montreal and wintering partners that summer, he was assigned as clerk to the Upper Red River department. He was posted to Fort Espérance (Sask.) on the Qu’Appelle River under John Pritchard, where he was put in charge of a small outpost. 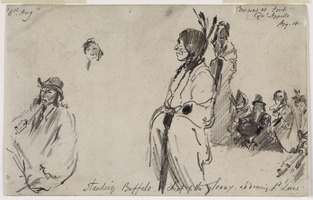 By this time the fur-bearing animals in the Qu’Appelle region had been almost exterminated by hunting and Fort Espérance had become to all intents and purposes a victualling post whose primary functions were the organization of the buffalo hunt and the supply of pemmican to sustain the trade in the Athabasca country. By 1812 also the struggle between the NWC and the HBC for control of the fur trade was building towards violence. That summer the tension was heightened by the arrival of the first contingent of Scottish settlers whom Lord Selkirk [Douglas*], a director of the HBC, was proposing to establish in the Red River valley – right across the routes by which the Nor’Westers transported both furs and pemmican. The HBC claimed prior rights over the territory by virtue of its charter to Rupert’s Land granted in 1670; the NWC claimed rights of access as successor to the French fur traders and explorers, and particularly to Pierre Gaultier* de Varennes et de La Vérendrye, who had established Fort Maurepas on the Red River in 1734. 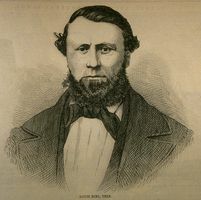 The arrival of the settlers, led by Miles Macdonell*, the recently appointed HBC governor of Assiniboia, created a strain on the food resources of the region. They arrived too late in the season to put in crops and during the winter of 1812–13 were forced to rely on buffalo meat, provided by friendly Saulteaux Indians, and on pemmican. The following year the colony was still far from self-sufficient and on 8 Jan. 1814 Macdonell issued a proclamation forbidding the export of pemmican from the Red River area without his permission, an act which endangered the source of supplies for the NWC’s trade in the fur-rich Athabasca country. 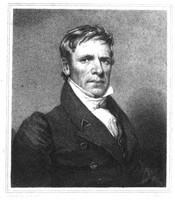 Grant was still serving in the Upper Red River department when the NWC partners Alexander Greenfield Macdonell*, a second cousin of the governor, and Duncan Cameron* were placed in charge of it in July 1814. Both were convinced that the survival of the NWC trade could only be secured through aggressive opposition to the proclamation. 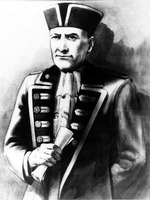 Furthermore Macdonell and Cameron, as well as the NWC Montreal agents Simon* and William McGillivray, realized that to succeed in any struggle against the Selkirk colony, backed by the HBC, they would have to gain the allegiance of the only available force in the region outside the Saulteaux, who had already shown themselves favourable to the settlers. This force was the Métis, with their traditions of frontier warfare combining Indian tactics with European weapons and skills. Though many of the Métis were employed by the NWC, some had attached themselves to the HBC, and the community as a whole, which as yet lacked a sense of identity and recognized leaders, had taken no decisive position in the dispute between the companies. To gain the support of the Métis, the Nor’Westers proceeded to cultivate, and in fact were the first to voice, the idea of a Métis nation with aboriginal rights to the land and special interests as hunters, at variance with the claims of the HBC colony. In doing so they were exploiting ill-defined sentiments of Métis identity and giving them shape and direction. Alexander Greenfield Macdonell and Cameron looked among their mixed-blood clerks for the leaders they could use to channel the energy and provoke the anger of the Métis on behalf of the NWC. To this end, Grant, William Fraser, Angus Shaw, and Nicolas Montour were appointed “captains of the Métis” by Cameron in the fall of 1814. It was soon evident that Grant possessed the qualities of daring and resourcefulness that made him the best choice among the candidates, and by March 1816 he was singled out, again by Cameron, as “Captain-General of all the Half-Breeds.” There is little doubt that Grant allowed himself to be used by the Nor’Westers, and that he did so partly because of the vanity that was one of his abiding weaknesses and partly because of his desire for advancement in the company’s hierarchy of officers. There is nothing to suggest that before 1814 he saw the Métis as a nation, or gave any thought to their cause, or even identified himself with them. Grant’s persuasion and the promise of reward appear to have won over a considerable number of Métis to the NWC cause and, between 1814 and 1816, in his new role as military leader of an irregular Métis cavalry, Grant had many opportunities to show his zeal. He arrived with Cameron at Fort Gibraltar (Winnipeg) on 30 Aug. 1814 as one of Cameron’s uniformed officers and was active in persuading many of the Selkirk settlers to accept the NWC’s offer of transportation out of the colony to the Canadas. In March 1815, after HBC men had arrested Peter Pangman (known as Bostonais by the Métis) on a charge of assault, Grant at the head of 27 Métis seized four colonists as hostages. On this occasion, there was an exchange of prisoners, but as the year went on the pressure applied by the Nor’Westers to the colonists increased and Grant was in the thick of the action. 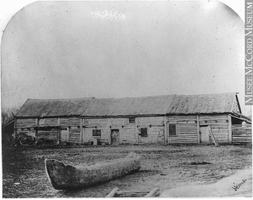 On 7 June he established a Métis camp on the west bank of the Red River, four miles downstream from Point Douglas, the colony’s headquarters, to cover the departure in NWC canoes for Canada of 42 colonists. Grant’s men began to harry the settlement, stealing horses and ploughs, and there were exchanges of fire between the Métis and the remaining settlers. In such an encounter at Fort Douglas (Winnipeg) on 10 June, one of Governor Macdonell’s men was killed. On 17 June the governor gave himself up to the Nor’Westers who sent him down to the Canadas under arrest. But the attacks on the colony did not end, settlers continued to flee, and on 25 June Peter Fidler*, left in charge of the colony after Macdonell’s departure, capitulated under an agreement on which Grant’s signature appears as one of the “chiefs of the Half-breeds.” Fidler consented to the complete evacuation of the colony. Nobody signed the agreement on behalf of the NWC. The Métis – and Grant – were being made to appear responsible for actions intended to further the company’s interests. Grant returned to the Qu’Appelle River after Fidler’s surrender, but that incident did not mean the end either of the Selkirk colony or of the HBC’s presence on the Red River. 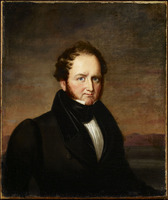 In August 1815 Colin Robertson*, a former Nor’Wester who had joined the HBC, arrived with a group of about 50 of the departing settlers who had asked him to lead them back, and in November Robert Semple* arrived as governor-in-chief of the HBC territories to take over the administration of the settlement. Grant reacted with calculated hostility to Semple’s approaches. On 8 May 1816, two months after he had been named captain-general by the NWC, he set out with a troop of 60 Métis horsemen on an expedition clearly intended to prevent a resurgence of the rival power on the Red River. First they ambushed the HBC boats, under Pierre-Chrysologue Pambrun* and James Sutherland, bringing pemmican down the Qu’Appelle. 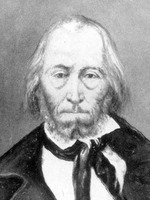 Joined by Alexander Greenfield Macdonell and the NWC boats, Grant then escorted the pemmican down the Assiniboine, and at the Souris River he and his men captured and ransacked the HBC’s Brandon House, commanded by Fidler. He then proceeded to Portage la Prairie from which point he left on 18 June with a supply of pemmican for the NWC brigades waiting on Lake Winnipeg. On 19 June Grant reached a point about three miles from the fork of the Assiniboine and Red rivers and turned inland, hoping to circle unseen the now stockaded Fort Douglas, but his party was discovered. Governor Semple, at the head of a small group of armed men, went out to meet them at Seven Oaks (Winnipeg). It is not clear how the fighting began; the first shot may indeed have been fired by Semple’s men. But certain facts are evident. The encounter would never have taken place if Grant and his men had not set out with the hostile intent demonstrated in their ambushing of the HBC pemmican boats and their capture of Brandon House. As soon as firing began Grant shot at Semple and broke his thigh, rendering him a helpless victim for the Métis or Indian who killed him. The skirmish degenerated into a gruesome massacre in which about 20 of Semple’s party and one of Grant’s were killed in the space of 15 minutes. The wounded were ruthlessly slaughtered and most of the dead were mutilated. Grant either could not or would not prevent the massacre; he certainly used it to frighten the remaining colonists into departing, so that once again the NWC was ascendant on the Red River. In August 1816 Grant was at the NWC Post Bas-de-la-Rivière (Fort Alexander) on Lake Winnipeg and, because of his association with Archibald McLellan, he was later reported to have been implicated in the murder of HBC officer Owen Keveny* on the Winnipeg River the following month. When he learned of the capture by Selkirk of the NWC depot at Fort William, Grant retreated to Red River and then in October returned to Fort Qu’Appelle. After the re-establishment of the colony and the arrival of William Bacheler Coltman* as commissioner from Lower Canada to inquire into the conflict in the northwest, Grant, in August 1817, gave himself up. 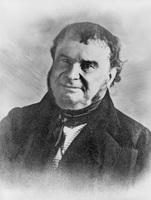 Coltman recorded his deposition on the events of 1815 and 1816, and then took him to Montreal to face charges of murder, theft, and arson. Grant arrived there about the end of October and was held in the common jail while awaiting his hearing on the first of the charges, that of the murder of Keveny. In this case his guilt was indeed doubtful and he was released, but in the spring of 1818 true bills were found against him and other NWC men at York (Toronto) for theft and pillage of HBC property and for the murder of Semple and the colonists killed at Seven Oaks. Grant jumped his bail and fled in a light canoe to the northwest. The law officers in the Canadas, where the Montreal-based NWC was favoured over the London-based HBC, were unenthusiastic about pursuing the matter. After Grant’s lieutenant at Seven Oaks, François-Firmin Boucher, was acquitted of the murder of Semple, the charges against Grant were quietly shelved. Grant was present at the last major encounter between the two companies, when in June 1820 the HBC brigade from the Athabasca country, headed by Robertson, was ambushed by NWC men at the Grand Rapids (Man.). A year later the conflict came to an end with the union of the two companies under the HBC charter. Old scores surfaced and Grant was allowed to cool his heels, excluded from employment in the new company. 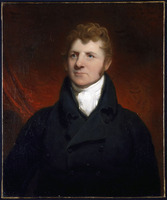 George Simpson, the new governor of the HBC’s Northern Department which included Red River, met him in February 1822 and decided that Grant had been made “a party tool” in the late conflict. Simpson was astute enough to recognize malleability when he saw it, and to realize that Grant’s recent exclusion from the service could only have increased his prestige with the Métis who had themselves suffered from the union of the companies. The Métis were an increasingly unstable element in the Red River region. A man who could control them on the HBC’s behalf would be very useful. In July 1823 Grant was appointed clerk at Fort Garry (Winnipeg) and made a special constable. 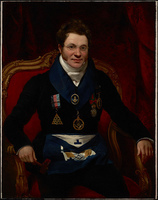 His presence in the settlement, however, was a provocation to those who remembered his role in the events of 1815–16. After being assaulted by a group of settlers led by Alexander McDonell*, Grant retired from the company in 1824. He was encouraged to settle near the colony and was granted land at White Horse Plain on the Assiniboine River. 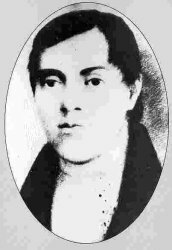 There, with about a hundred Métis families, he founded the village of Grantown (St François Xavier) in the spring of 1824. By 1827 he had 34 acres under cultivation and looked upon himself as seigneur of White Horse Plain, though he had no legal claim to such a title. He transported goods for the HBC on contract from York Factory to the Red River, and from the winter of 1824–25 was allowed to trade as an independent under licence from the company. This trading, like that conducted by Andrew McDermot*, was designed to keep American fur traders out of the territory covered by the HBC charter by providing a company-controlled market for furs not directly taken by the HBC. In July 1828 the HBC Council of the Northern Department appointed Grant warden of the plains of Red River, at an annual salary of £200, to prevent “the illicit trade in Furs within that District.” He had transferred his loyalties to the new masters, and his value was recognized. He was still sufficiently respected by the Métis to be elected captain of the annual buffalo hunts. In 1835 the Council of Assiniboia, which had taken over the administration of the colony after the settlement reverted to the HBC from the Selkirk estate in 1834, commissioned Grant as a justice of the peace. 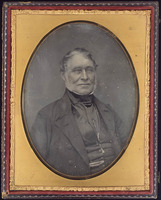 He was invited to attend council meetings and in March 1839 was officially appointed councillor, as well as sheriff of Assiniboia with Alexander Ross. From 1840 the Métis and the Sioux were fighting a kind of guerrilla war over infringement of tribal buffalo-hunting territories, and Grant, as “Chief of the half-breeds and warden of the Plains,” negotiated a peace settlement in 1844. This peace did not last, since by 1851 the two peoples were again in violent conflict. By the 1840s Grant’s influence among the Métis had waned. 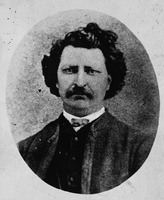 A new generation of young and rebellious men had appeared and a French element led by men such as the elder Louis Riel* began to take leadership away from the Scots half-breeds such as Grant. The crucial issue was freedom of trade; in defiance of the HBC monopoly, the Métis were beginning to trade furs with Americans at Pembina (N.Dak.) 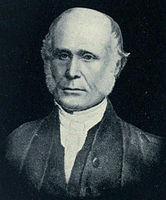 and St Paul (Minn.), following the example of McDermot, whose HBC licence was not renewed in 1843, and James Sinclair. Here Grant, as warden of the plains, magistrate, and sheriff, was on the side of the company. 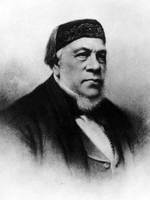 When Pierre-Guillaume Sayer* was tried for illicit trading in 1849, Grant was on the bench as one of the magistrates. With a large body of armed Métis vociferously supporting Sayer in the court-room and proclaiming Sinclair as their leader, Sayer was found guilty of trading furs but went unpunished. The verdict was heralded in the colony as the end of the HBC monopoly. Grant’s usefulness to the company had ended, and he was relieved of the office of warden of the plains. A division now appeared between the militant Métis of the Red River settlements and the people of White Horse Plain, who remained under Grant’s conservative influence. His followers, such as his son-in-law Pascal Breland*, became leaders of the moderate Métis who held aloof from Louis Riel* in 1870 and were opposed to Gabriel Dumont*’s activism. Grant’s final years were relatively inactive. His decline as a leader of the Métis had undermined his usefulness to the HBC and his role was reduced to that of host to the rich travellers who began to visit the Prairies. In the late spring of 1854 he fell from his horse. He did not recover from his injuries and died on 15 July. On 16 July he was buried, inside the church of St François Xavier which he had built at Grantown after his conversion to Roman Catholicism. PAC, MG 25, 62. Canadian north-west (Oliver), vol.1. Docs. relating to NWC (Wallace). HBRS, 2 (Rich and Fleming); 3 (Fleming). Alexander Ross, The Red River settlement: its rise, progress and present state; with some account of the native races and its general history to the present day (London, 1856; repr., Minneapolis, Minn., 1957; repr., Edmonton, 1972). Quebec Gazette, 19 March 1818. Marcel Giraud, Le Métis canadien; son rôle dans l’ histoire des provinces de l’Ouest (Paris, 1945). J. M. Gray, Lord Selkirk of Red River (Toronto, 1963). M. A. MacLeod and W. L. Morton, Cuthbert Grant of Grantown; warden of the plains of Red River (Toronto, 1974). C. [B.] Martin, Lord Selkirk’s work in Canada (Oxford, 1916). J. P. Pritchett, The Red River valley, 1811–1849: a regional study (New Haven, Conn., 1942). Margaret Complin, “The warden of the plains,” Canadian Geographical Journal (Montreal), 9 (Aug. 1934): 73–82. M. A. MacLeod, “Cuthbert Grant of Grantown,” CHR, 21 (1940): 25–39. 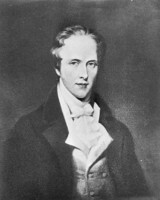 George Woodcock, “GRANT, CUTHBERT (d. 1854),” in Dictionary of Canadian Biography, vol. 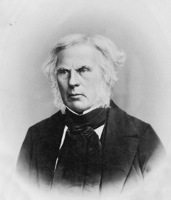 8, University of Toronto/Université Laval, 2003–, accessed April 24, 2019, http://www.biographi.ca/en/bio/grant_cuthbert_1854_8E.html.